Astrapak Ltd, South Africa’s plastic packaging group, has selected the BMSvision PlantMaster MES system to optimize its production scheduling and improve operational efficiency in all of its production facilities. 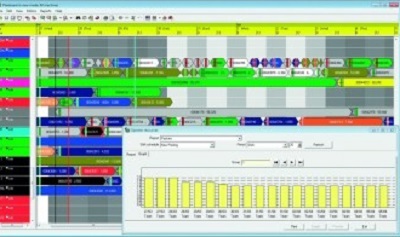 The first step was to install and roll out the Syspro ERP system to manage the administrative side of the business, handling the processing of customer orders right through production to the delivery and invoicing of the goods.”The wireless data collection system allows straightforward and cost effective installation and assures optimum flexibility for the future. The PlantMaster system seamlessly integrates with the Syspro ERP system.